The Neoshred ET-15C is a reliable shredder for long periods of time suited for small to medium businesses. 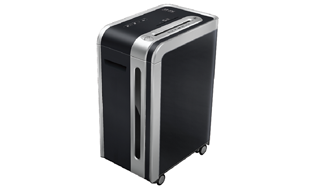 The Neoshred ET-15C is a high security cross-cut shredder capable of shredding paper into particles; 3.9 x 38mm in size. Also designed to shred CDs, credit cards, staples and paper clips, the ET-15C is a heavy-duty and reliable machine for shredding of sensitive documents. Contact us to see how this Shredder can help your business!